Syngenta is committed to providing innovative tools that help its customers increase productivity in a sustainable way while improving farm profitability. 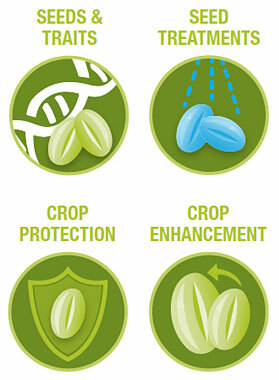 By combining the broadest vegetable technology offerings in crop protection, seed care, seeds and traits into advanced, integrated solutions, we continually put our technology to work for you. We offer our customers more than 135 years of seed industry experience established through ROGERS® brand seed, production know-how and a deep pool of genetic capabilities. Combined with integrated service and support at the local level, a collaborative approach to customer relationships and unique programs and offerings, this expertise allows us to offer a truly holistic approach to meeting customer needs throughout the value chain. Syngenta is committed to providing solutions that help increase productivity and improve farm profitability while maintaining beneficial impact on land, water and biodiversity. Backed by a powerful, integrated portfolio of solutions, we link technology, land and people for sustainable production systems. FarMore® Technology is the first comprehensive combination of separately-registered seed protection products, proprietary application technologies and dedicated seed treatment services that maximize vegetable production value by enhancing performance and quality. FarMore Technology is a portfolio of technology and product offerings including FarMore F300 seed treatment technology, FarMore FI400 seed treatment technology and FarMore FI500 seed treatment technology. Working in close collaboration with our industry partners, we continually look toward the future to anticipate and meet needs across the value chain. Backed by global resources that include an investment of more than $3.9 million daily in research and development, Syngenta brings to market innovative solutions that help to ensure high value vegetable crops reach their full genetic potential.